External Websites & Resources - 80 Feet Is Enough! Below you will find additional websites, blogs and resources relating to our cause. Note that these are all external sources and are not affiliated with the 80 Feet Is Enough! group or website. Friends of the Headwaters: Friends of the Headwaters (FOH) is a local citizen's group organized for the purpose of protecting our precious resources from the potentially devastating impacts that will occur if the Enbridge Sandpiper pipeline is constructed on the currently proposed route in Hubbard, Clearwater, Cass, Aitkin and Carlton Counties. Oil & Water Don't Mix: It is our desire for the residents of and visitors to Michigan to come together around our common concern: Protecting the amazing resource that is the Great Lakes. Wise Alliance: The Wisconsin Safe Energy Alliance is concerned about the safety of the tar sands pipelines traveling through Wisconsin. 350 Madison: 350 Madison invites you to join the fight against tar sands expansion in Wisconsin! Website includes a blog, news index and repository of information relating to Enbridge pipelines in Wisconsin. Line 9 Communities: L9C was created in March 2013 in an attempt to help raise awareness about a quiet oil pipeline proposal. The author's intention is to start a discussion about energy issues in a respectful manner. The site includes a wealth of information on Enbridge including its major spills and environmental impact. 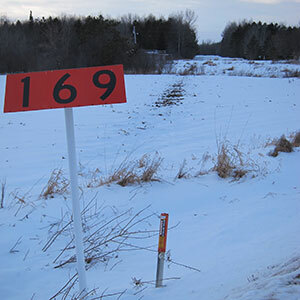 Pipeline Peril: The blogger of this website, as someone who lives near an Enbrdige pipeline, is seeking to raise awareness of the risks of pipeline expansion and oil spills. If you know of additional resources worthy of inclusion on this list, please contact us with details.